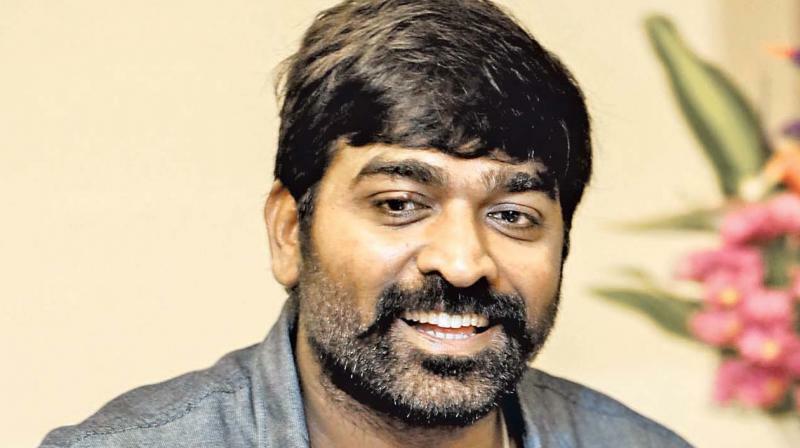 Vijay Sethupathi’s next titled Sanga Tamizhan? Vijay Productions bankrolls the film. Vijay Sethupathi’s next with Vijay Chander of Vaalu fame has got a classic Tamil title. Sources reveal that the movie, with Nivetha Pethuraj and Raashi Khanna opposite Sethu, is titled Sanga Tamizhan. Vijay Productions bankrolls the film. The movie will have music by Vivek — Mervin duo and the film also stars Soori, Nasser, Asutosh Rana, Motta Rajendran and John Vijay. The first schedule of the commercial entertainer with VSP and Raashi was wrapped recently at Ramoji Film City in Hyderabad.